A few years ago, Portland-based songwriter Daniel Sheron left his job and went alone into Siberia with a guitar and no change of clothes. The songs he wrote became Balto's debut album of gritty, dynamic americana. This is mercurial, psychedelic country-rock – song-driven rock’n’roll – a hair-raising live performance burning its way across the Pacific Northwest and beyond. Balto came into being when Daniel Sheron abandoned his life in Moscow, Russia and went alone into Siberia. Against an ever shifting backdrop of railways and desolate wastes, he wrote a cycle of songs to tell the story of what had happened in that strange country, why he had exiled himself, and why he thought it mattered. In train cars and crumbling cities he encountered PEOPLE, and they inhabited the songs he was writing and the notes he was taking. In the fall, Daniel brought Balto back to America and called his friends to record an album in one day. On December 15, 2010, six people entered a basement in Brooklyn, New York and emerged that night with an album that no one had expected. October's Road. 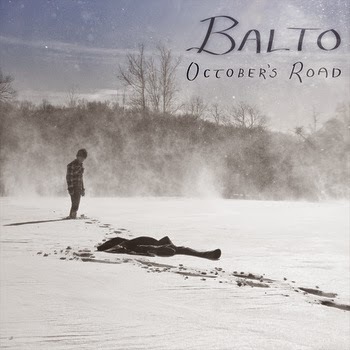 Balto "October's Road" (Live at the Brainwash Cafe) from Ethan Hofmayer on Vimeo.